As the selling prices of sugar are lower than cost prices while sugar inventory is high, sugar refineries are on the verge of suffering losses. The Vietnam Sugarcane and Sugar Association on March 3 had a meeting with the Minister of Agriculture and Rural Development to propose solutions to resolve the situation and support sugar refineries. Report by the association said that there were up to 36 sugar refineries across the nation with total capacity of around 150,000 tons of sugarcane per day, 12.7 times higher compared to that in 1995. The sugarcane growing areas were also 10 times higher compared to 1995 with total current area of around 300,000 hectares. 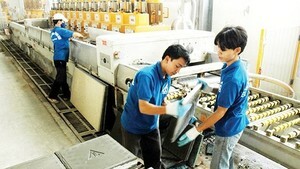 Sugar industry produces about 1.5 million tons of sugar annually, worth roughly VND300 trillion. Although sugar is among products in the price stabilization program, according to the association, the 2018-2019 sugarcane crop was the third consecutive year that the sugar industry experienced negative impacts caused by unfavorable weather, low prices and weak consumption, especially, many sugar refineries posted poor business results and suffered losses. 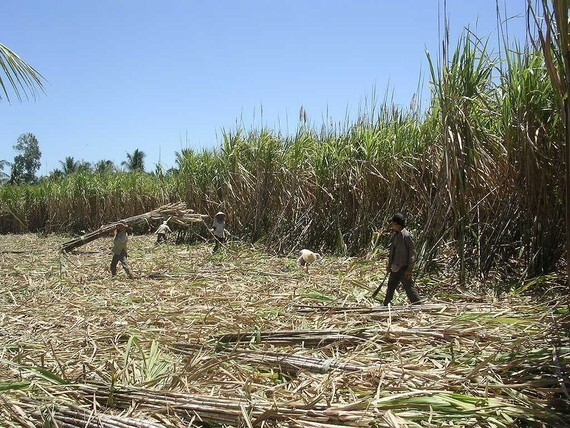 Statistics by March 15 showed that all sugar refineries have entered production of the 2018-2019 crop, processing nearly 8 million tons of sugarcanes, making 750,000 tons of sugar of all kinds. Around 14 million tons of sugarcanes estimated to be processed this crop with 1.3 million tons of sugar, less than the previous crop but same as the 2015-2016 and 2016-2017 crops. Production of sugar in 2019-2020 crop is expected to continue to drop. Accordingly, sugarcane growing area will reduce to 220,000 hectares with sugarcane yield of 13 million tons and sugar production at 1.25 million tons. Explaining about slow consumption of sugar, the association said that sugar inventory of last crop was fairly high. Meanwhile, imports of syrup continuously increased from 46,000 tons in 2014 to 140,000 tons in 2018, three times higher. Therefore, the prices of sugar were currently at low level. The price of refined sugar was at VND10,500 per kilogram.